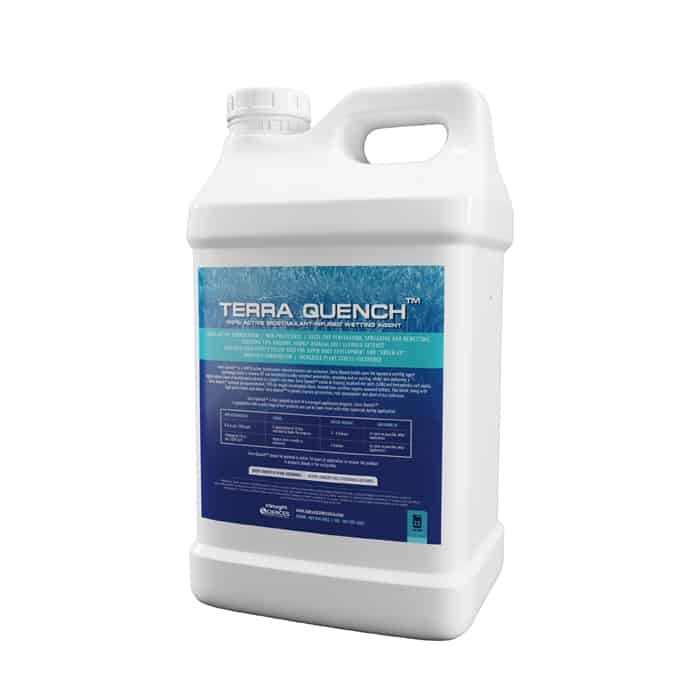 Terra Quench™ is a 100% active, biostimulant-infused premium soil surfactant. Terra Quench builds upon the signature wetting agent technology found in Immerse GT and HumWet® to offer excellent penetration, spreading and re-wetting, whilst also delivering a highly-potent blend of biostimulants directly to a plant’s root zone. 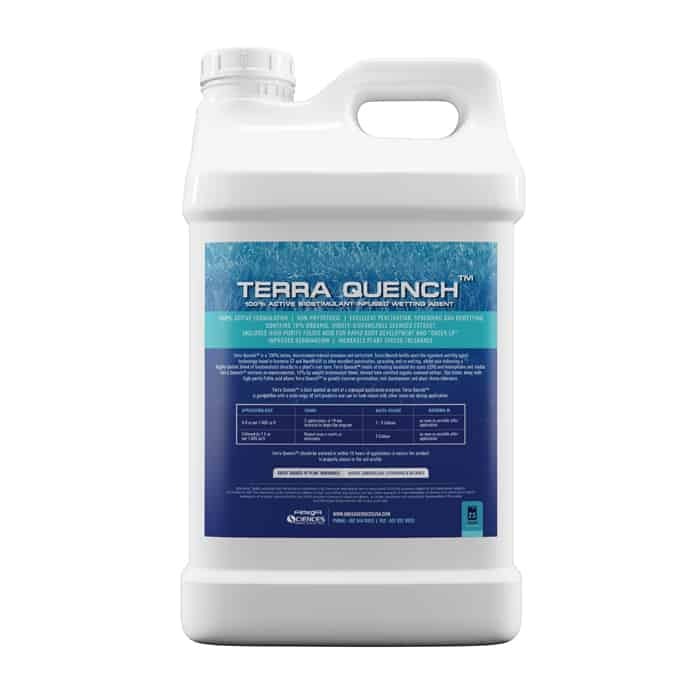 Terra Quench™ excels at treating localized dry spots (LDS) and hydrophobic soil media. Terra Quench™ contains an unprecedented, 10% by-weight biostimulant blend, derived from certified organic seaweed extract. This blend, along with high-purity Fulvic acid allows Terra Quench™ to greatly improve germination, root development and plant stress-tolerance. Terra Quench™ is best applied as part of a managed application program. Terra Quench™ is compatible with a wide range of turf products and can be tank-mixed with other materials during application. Terra Quench™ should be watered in within 18 hours of application to ensure the product is properly placed in the soil profile.